Come along with your favorite puppy dog pals in an adventure that's paws-itively alien! Follow along with your favorite puppies in an out-of-this-world adventure. Bingo and Rolly are determined to meet a space traveler for Bob when they find themselves in an alien-themed restaurant! Slide, pull, and spin along with Bingo and Rolly as they rocket around town and meet a new friend! 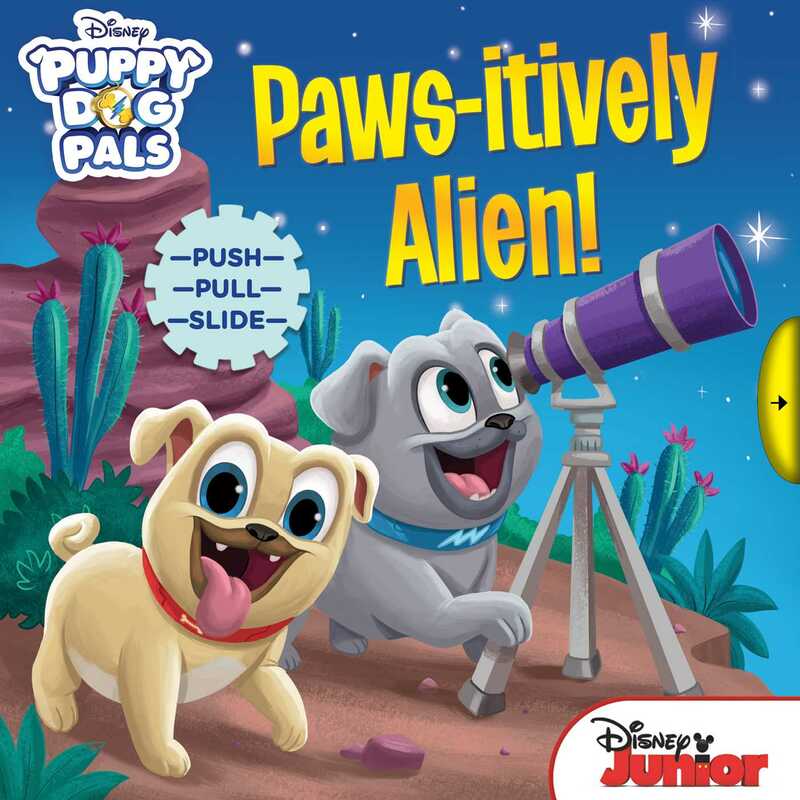 Book Cover Image (jpg): Disney Puppy Dog Pals: Paws-itively Alien!